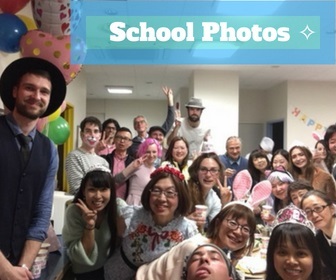 At WAHAHA we offer more than just Japanese lessons. We also organize activities and events both after school and on the weekend. These include seasonal sightseeing activities or events, monthly cooking lessons, school parties, and more! 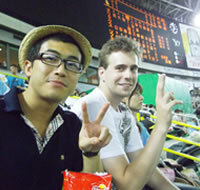 Participating in activities is a great way to mingle with Japanese people. Learn to make homestyle Japanese food from a professional cooking teacher. 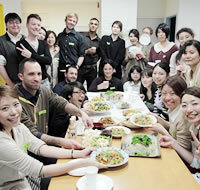 Make a delicious meal alongside local Japanese people, making this a great opportunity to practice your Japanese. 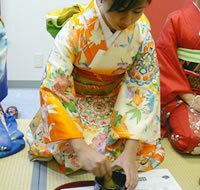 Experience wearing a long-sleeved kimono or a wedding style kimono. The photos you take will make a wonderful souvenir of your time in Japan. Matcha tea and Japanese sweets are served. Write your dreams, favorite words, or your name in Japanese calligraphy with the help of an instrcutor. Take your completed work home with you for a special souvenir! Learn how to make a paper crane or other seasonal shapes in this paper-folding class. 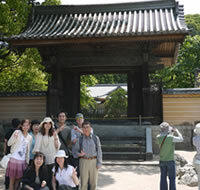 Visit the historical Dazaifu Tenmangu Shrine. Enjoy your Japanese experience with matcha tea and Japanese sweets. 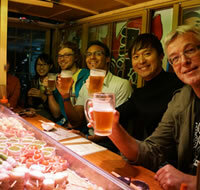 Fukuoka’s famous yatai, or street food stalls! Yatais serve many dishes including Fukuoka’s tonkotsu (pork bone broth) ramen, Yakitori, oden and fried rice. 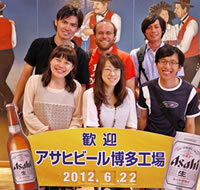 See how beer is made at the Asashi Beer Brewery. At the end of the tour, enjoy the beer tastings! 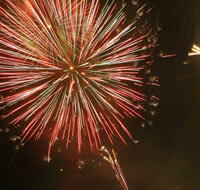 Fireworks in Japan are not only beautiful, but also a major cultural event. 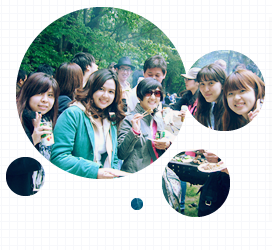 Buy food from the street stalls and enjoy summer in Japan! Other events and activities we plan include karaoke, pottery, flower arrangement, day trips and seasonal events.